As I planned, researched, and wrote Deep Cover Jack, it quickly became clear that we’d be dealing with some pretty heavy topics in this book. 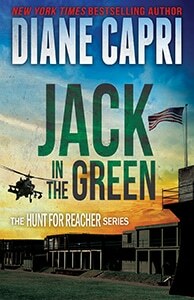 That’s often the case when writing thrillers, but this newest Hunt for Jack Reacher thriller, required research on human trafficking. The crime doesn’t always involve transporting a victim very far. In fact, in most cases, the victim’s nationality is the same as the trafficker’s, and in most cases, the victim doesn’t leave the country at all. But in many cases, the victim is transported across borders, and that really caught my attention. At the border — either at departure or arrival— would seem to be a logical spot for the crime to be halted in its tracks. So how do traffickers get their victims out of the U.S. and into another country? Sometimes the victims are taken in simple, direct routes. Other times the routes are circuitous by air, land, or sea. It can take anywhere from days to years to complete a particular journey. Traffickers frequently use the same routes and methods as smugglers of drugs, weapons, and migrants. The United States is popular both as a destination and as an origin of human trafficking. There’s another kind of victim that I haven’t mentioned yet, which is the victim who willingly complies with being transported, usually because of a lie she’s been told. In Part 2, I’ll tell you about victims who are duped into becoming a part of the human trafficking industry, along with some real life survival stories.